With the school year underway, three new Franklin Special School District administrators have transitioned into their new positions. 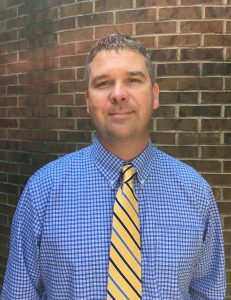 Chris Treadway is principal at Poplar Grove Middle School, serving fifth- through eighth-grade students, and is excited about the opportunities he sees in its students, families, faculty and staff. He is equally impressed by the students and their families. He said he hopes to accomplish this goal by communicating high expectations and providing constructive feedback and support. Treadway arrived in Franklin from Rutherford County Schools, where he was the principal at Rock Springs Middle School for the past five years. In addition to his role as former principal, he also served as an assistant principal at Rockvale Middle School, also in the Rutherford County School System. With plenty of leadership experience, Treadway rounds out his past experience with time in the classroom as a seventh-grade science teacher. He earned his B.S. degree in interdisciplinary studies and his M.Ed. in administration and supervision, both from Middle Tennessee State University. Although in a new position this year, Joel Hoag, Ed.D., is not completely new to the FSSD. 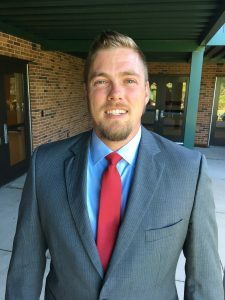 He served as assistant principal at Poplar Grove Elementary School for two years prior to his new role as principal at Freedom Intermediate School. Hoag joined the FSSD in 2014 from Wilson County, where he served as an assistant principal for three years at Stoner Creek Elementary. Prior to that, he was a teacher for six years in Murfreesboro City Schools. Hoag said his first impressions of the school have matched its reputation. Hoag earned his B.S. degree in interdisciplinary studies and his M.Ed. in administration and supervision, both from Middle Tennessee State University. He received his doctorate degree from Lipscomb University in learning organizations and strategic change. With a 25-year career in food service and home economics, Cross comes to the FSSD with a great deal of experience. She has also long been an advocate for FSSD schools. Her first supporting role was that of a parent, then as a FSSD School Board member where she spent several years advocating for strong schools, excellence in programming for the students and appropriate benefits for employees. 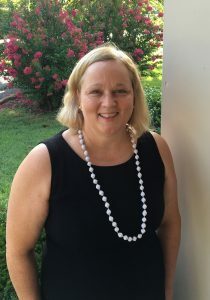 Cross comes to the FSSD from Harpeth Hall School, an independent private school in Nashville serving students in grades five-12, where she was food service director for 16 years. Her other related experience includes time as the executive director and instructor at a culinary school in Arkansas, a home economics teacher and a school cafeteria manager. Cross came to the district with lots of innovative ideas for the school kitchens and dining rooms. Cross received her B.S. degree and attained graduate experience in home economics. She also has job-related certifications in sanitation and allergy awareness and training as a nutritional health coach.